No, it;s not the name of one of those new-retro 'famous 5 go gluten-free' type books, this is a real thing happening throughout the Summer holidays at RHS Wisley gardens in Surrey. Timed to co-incide with the 75th anniversary of the first Famous 5 book being published RHS Wisley are promising that from 22 July - 3 September, their summer activities have a Famous Five on a Garden Adventure theme - and we're all invited! Follow the self guided trail to crack the mystery of missing Uncle Quentin, sow cress for your egg sandwiches, watch amazing birds of prey in flight, and much more. Choose a character, pick up a free trail and set off around the garden to help crack the mystery, solving puzzles and gathering clues as you go! 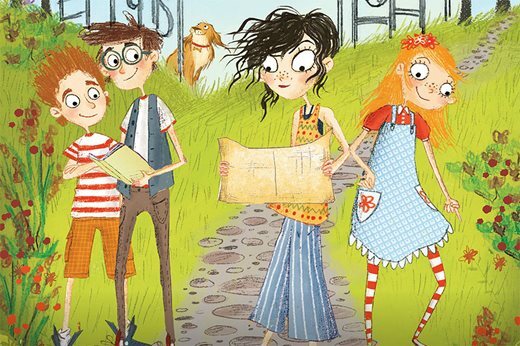 Surely, this'll be the best book-themed kids activity near the A3 this summer?